* A digital temperature and humidity instrument that's accurate, easy, and affordable! 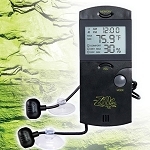 Digitally measure humidity and temperature levels to maintain terrarium consistency. Ideal for all amphibian and reptile environments. 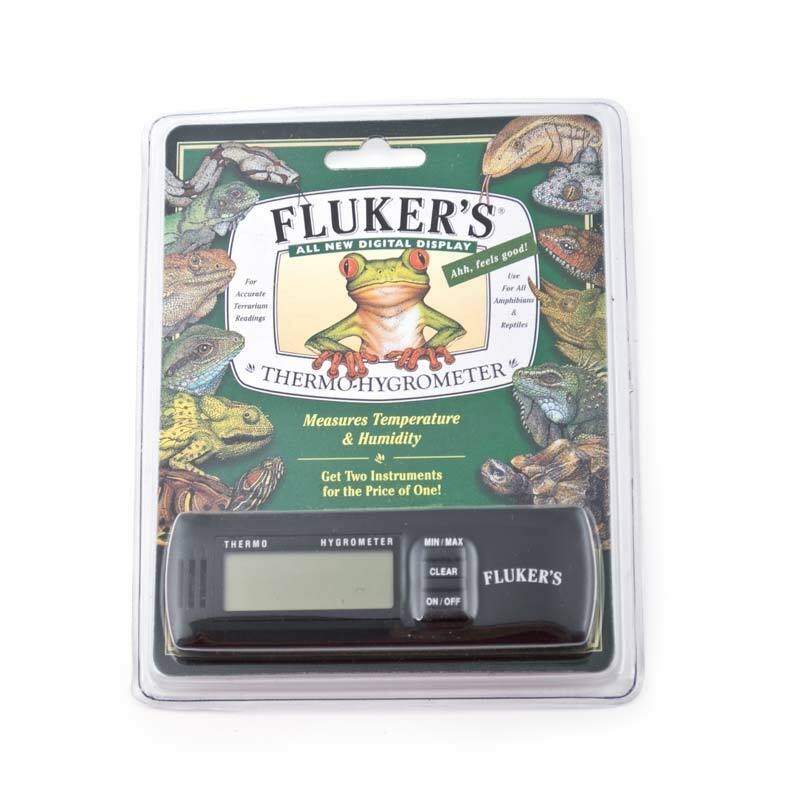 Instrument features Celsius and Fahrenheit option and min/max button that displays the minimum and maximum levels inside your reptile's enclosure. Compact design mounts to the side of your terrarium with included self-fastening closure. Battery included.